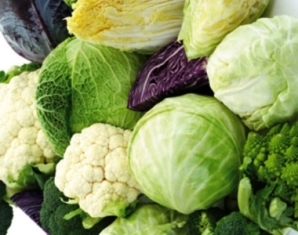 We've known for a long time that some chemicals in cruciferous vegetables have powerful anti-cancer properties, but we have not fully understood how they work or if they are safe in larger quantities. Now we know that one of them, Sulforaphane, can target and kill prostate cancer cells without harming healthy cells. So eat your veggies (broccoli, Brussels sprouts, cabbage, kale, and cauliflower). CORVALLIS, Ore. – Sulforaphane, one of the primary phytochemicals in broccoli and other cruciferous vegetables that helps them prevent cancer, has been shown for the first time to selectively target and kill cancer cells while leaving normal prostate cells healthy and unaffected. The Linus Pauling Institute has conducted some of the leading studies on sulforaphane's role as an HDAC inhibitor – one, but not all, of the mechanisms by which it may help prevent cancer. HDACs are a family of enzymes that, among other things, affect access to DNA and play a role in whether certain genes are expressed or not, such as tumor suppressor genes. Some of the mechanisms that help prevent inappropriate cell growth – the hallmark of cancer – are circumvented in cancer cells. HDAC inhibitors can help "turn on" these silenced genes and restore normal cellular function.